What do I need to know about the discount rate? Home» FAQ » What do I need to know about the discount rate? Understanding the discount rate associated with virtual merchant accounts can be tricky and confusing, especially if you work with an unethical company. Essentially, the discount rate is the rate associated with the cost for processing a certain type of credit or debit card. It depends on the type of card as well as how it is processed. Banks define over 100 types of cards which means there can be over 100 types of discount rates depending on the card the customer uses and how it is processed. Many merchant account companies unethically only disclose or promote their lowest rate – meaning the rate a merchant would get for swiping a specific card a specific way. Usually this discount rate is for a card that isn’t used by consumer often. This “trick” makes you believe you are getting a very low rate when actually you will be charged much more for typical transactions. 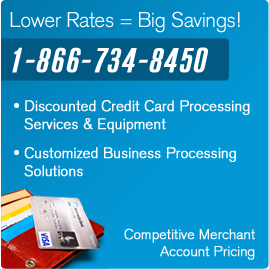 On top of that, many merchant account companies require low contract with high penalty fees for leaving.